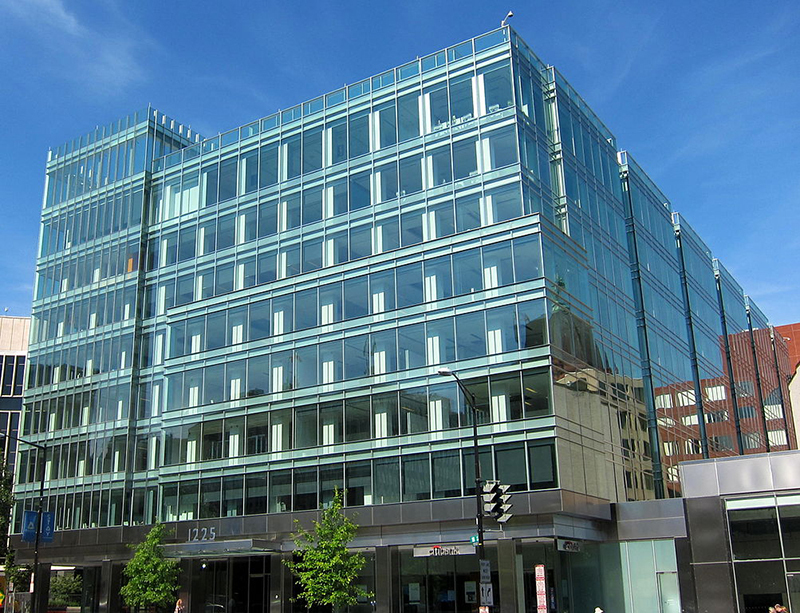 A new study shows that properties that hold environmental certifications, like this one at 1225 Connecticut Avenue (LEED Platinum), enjoy higher rent and occupancy levels than non-certified properties. Photo: AgnosticPreachersKid. License: CC BY-SA 3.0. A recently published working paper by Nils Kok, Maastricht University, and Rogier Holtermans, University of Southern California, demonstrates that the demand in the commercial real estate market for “green” space continues to grow, enabling owners to command higher leasing rates. The researchers recorded the quarterly rental statistics for 25,690 environmentally certified and non-certified commercial office buildings from 2004 to 2013, and found that properties with environmental certifications (Energy Star or LEED) were found to have higher rental, occupancy, and pricing levels than non-certified properties. Specifically, office buildings with Energy Star ratings leased for 1.5% more than non-rated buildings and buildings certified under LEED leased for 2.3% more. This demand has translated into a striking conversion of the market. In a survey of the 30 largest U.S. commercial real estate markets, the researchers documented that the average share of environmentally certified space grew from 4.6% in 2005 to 38.6% by the end of 2014.
environmental certifications were more valuable in locations with more extreme climates, even accounting for local energy prices. Nevertheless, Kok and Holtermans make the case that environmental certifications generally bring value to commercial real estate—if only by partially correcting for information asymmetry in the market, or the current inability for consumers to access building performance information.